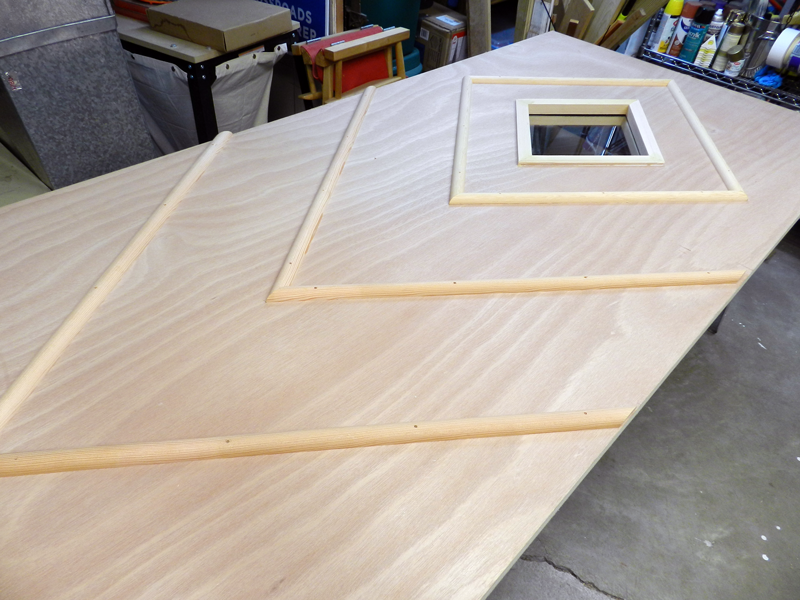 Building your own door with our kits can be both fun* and rewarding. (*Yes, we used the "F" word.) Although we ship every kit with a brochure containing step-by-step directions, we thought it would be fun to show you some actual photos of the process to ease any doubts you might have. Remember, go slow, take each step on its own and at the end, you'll have a new door that you can be proud of. Always remember, if you have ANY questions, please text, call or email us, and we'll be glad to assist in any way that we can. It's not brain surgery, it's not rocket science, and we know YOU CAN DO THIS! 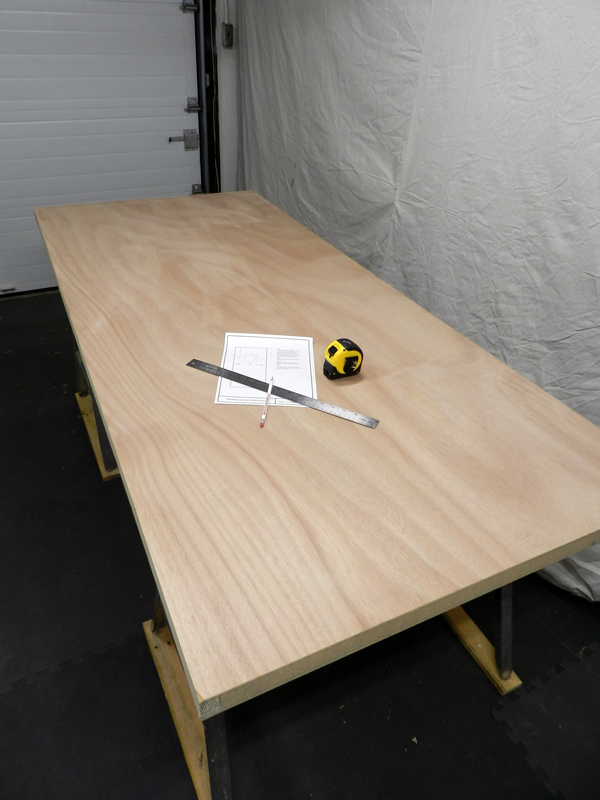 The first step is setting up your work surface, which is your solid-core door. (Where can I get a solid core door?) You can set the door on a pair of sawhorses or other supports that will allow the door to lie flat and secure. Decide now which side will be the interior and which side will be the exterior. Start with your door exterior side up. You'll need an extra set of hands to lift the door into place (those suckers are heavy) and you'll need help again in future steps to flip the door over. For this first step, you'll need a pencil, a ruler or tape measure and your directions including the insert in your instructional brochure that contains all of the measurements you will need for your specific door kit. We're showing the Deborah kit here, but each kit will be similar. 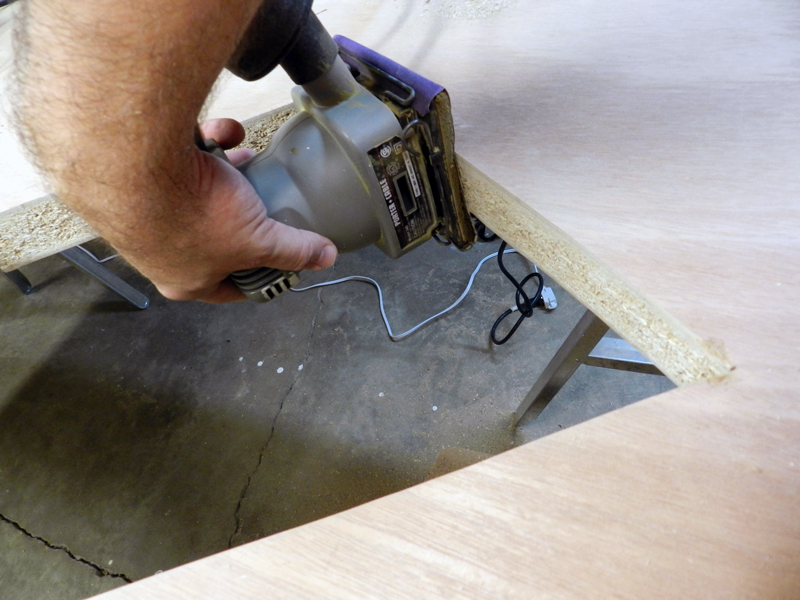 Lay your door slab flat on sawhorses so that you will be able to cut out your opening(s). 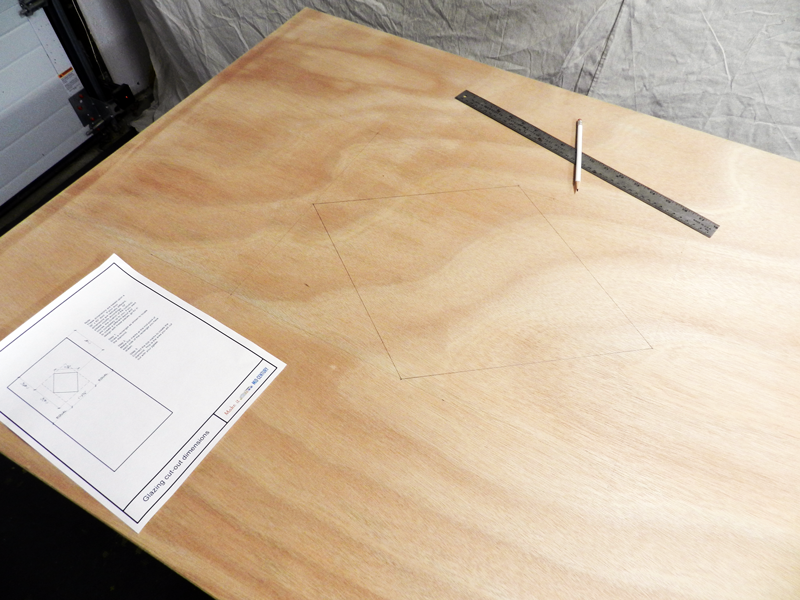 Using the dimensions provided for your kit, start marking the area(s) where you will make your cut-out. Do this in pencil so that it can be erased (if you wish to stain your door) or can be painted over easily. 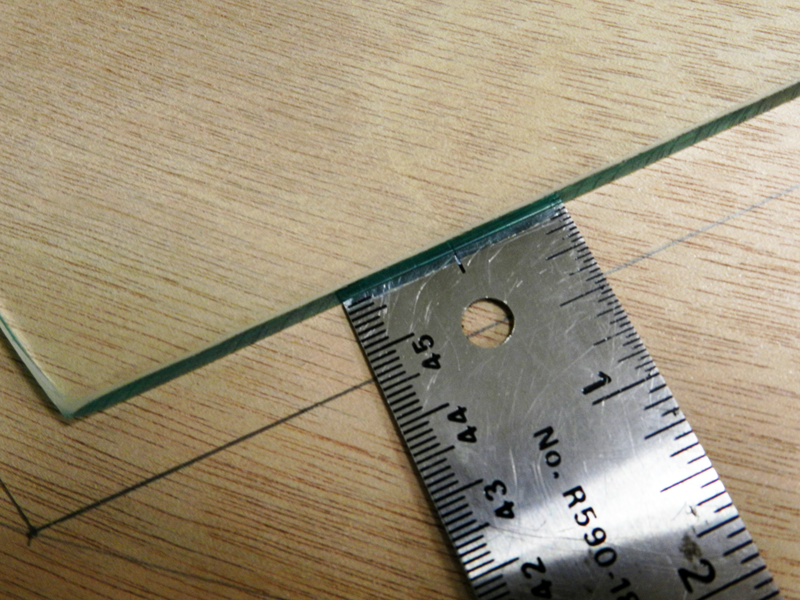 You can double-check your measurements by centering your glass in the markings (the glass should be about 7/16" from the line all the way around). You can also double-check your measurements by centering your exterior glass stop molding (the piece WITHOUT the pre-drilled holes) on the marks. There should be a 1/16" gap between the edge of the molding piece and the line. Double-check your measurements using your glass. Now is when the magic happens! Please do not be scared about using a jigsaw. If you go slowly and have the right blade*, it's really a snap. Just follow the lines that you've drawn! 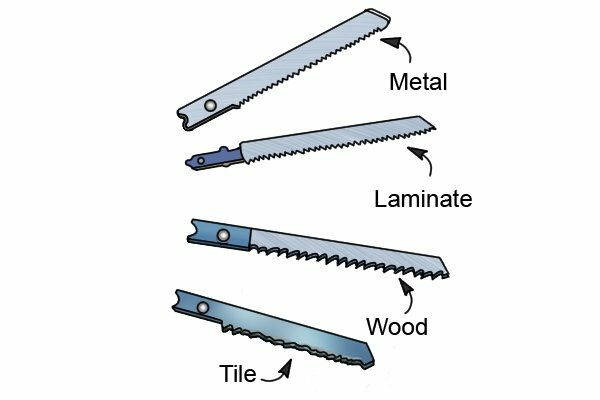 (*Make sure you have a jigsaw blade made for cutting wood. It has larger teeth than a blade made for metal and will cut faster and easier. Still worried? Check out this website.) 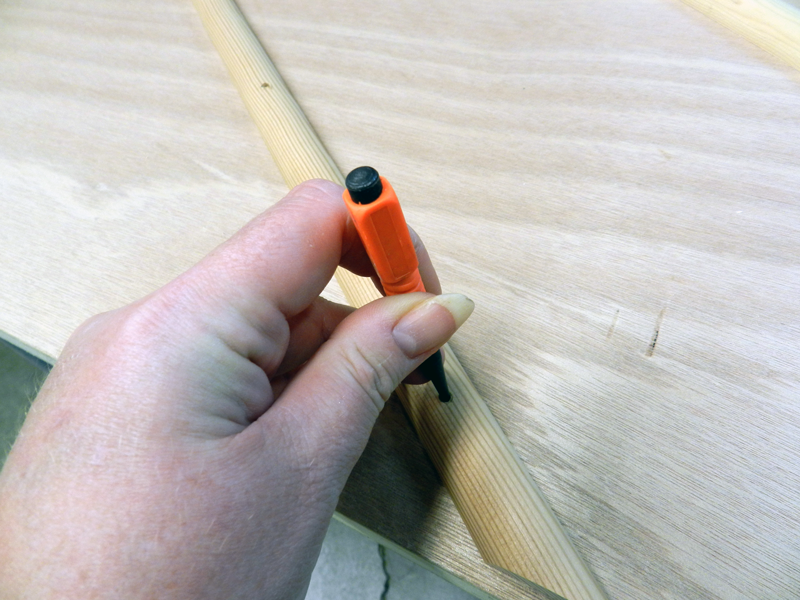 In order to start your cut, you will need to cut holes in the corner(s) of your pencil marks. For this example, we only need two holes - each at opposing ends of the shape from one another. Start jigsawing from one of your holes. 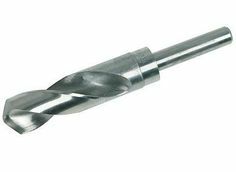 You can use either a spade bit or a large-diameter drill bit to make the holes. The hole diameter needs to be wider than your jigsaw blade. When making your cut, try to cut just to the outside of the line you have drawn. Remember that you can stop and start as you need to. There is no shame in going slow. If you are a bit wavy, remember that there is a 3/8" lip around the window stop to cover any imperfections. Finish all of the cuts on all sides of your opening(s). Sometimes the piece you have cut will fall out on its own and sometimes you might need to give it a little persuasion by knocking on it with a hammer. Watch your toes! Now for your first test fit. 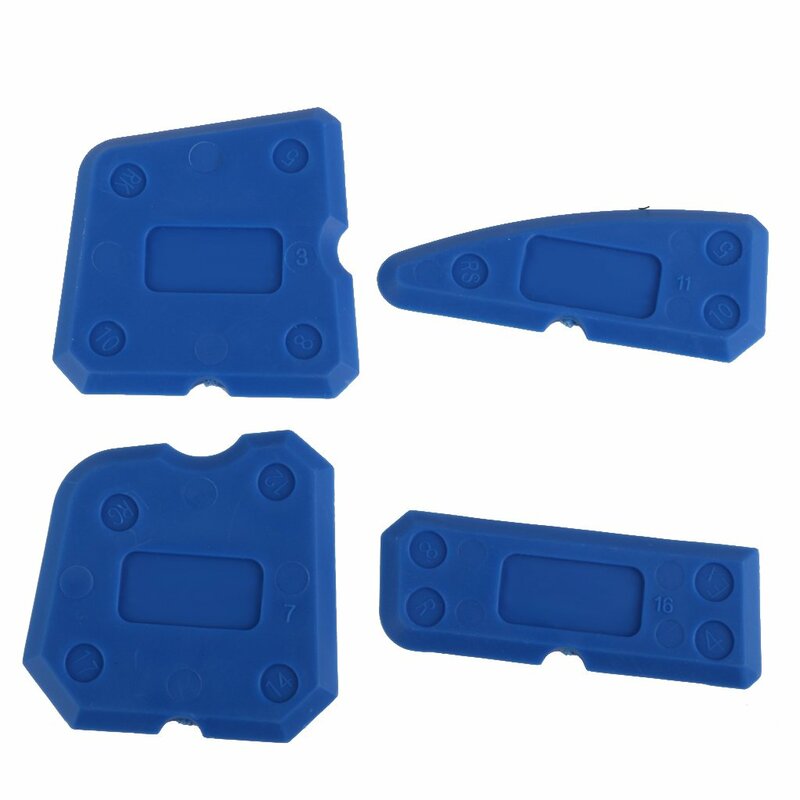 Take the exterior window stop molding and test it in the opening. Does it fit? Does it lay flat on the door and is it straight and parallel to the door sides? Great job! You can move on to the next step. Did it not fit at all? Is it too tight? Is it a little crooked? Now is when you can finesse your opening a little. You may want to use the jigsaw if there are large areas where you can still see your line. 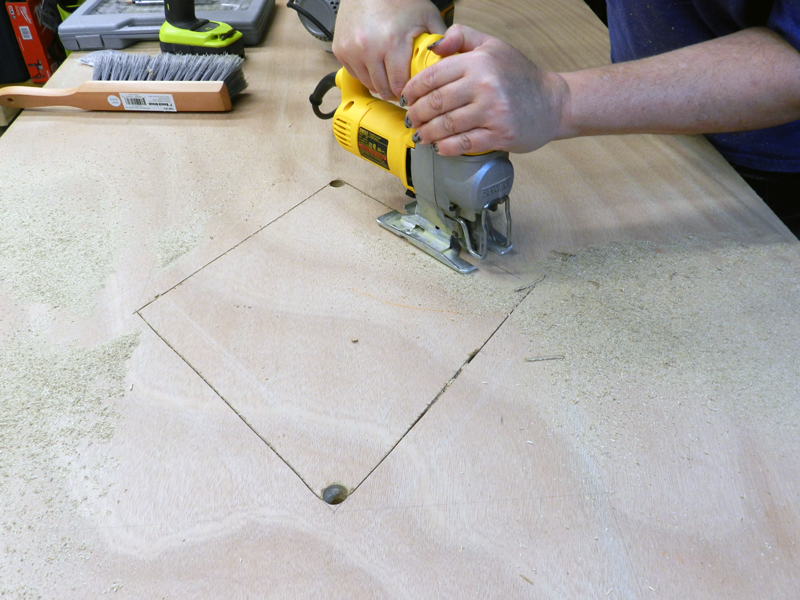 For smaller issues, you can use sandpaper (either by hand or power tool) to sand down areas where the fit is too tight. Keep working the opening until your molding fits well. 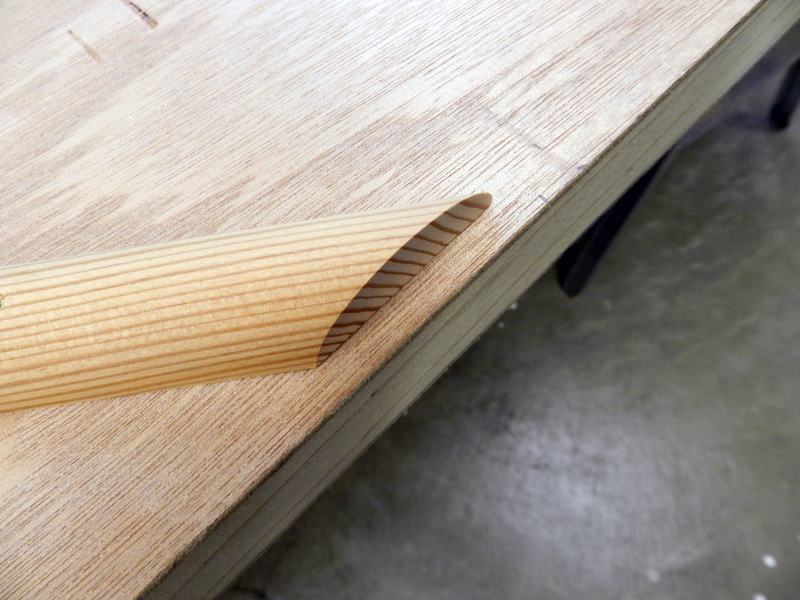 A little sanding of the high spots will help your frame fit like a glove. 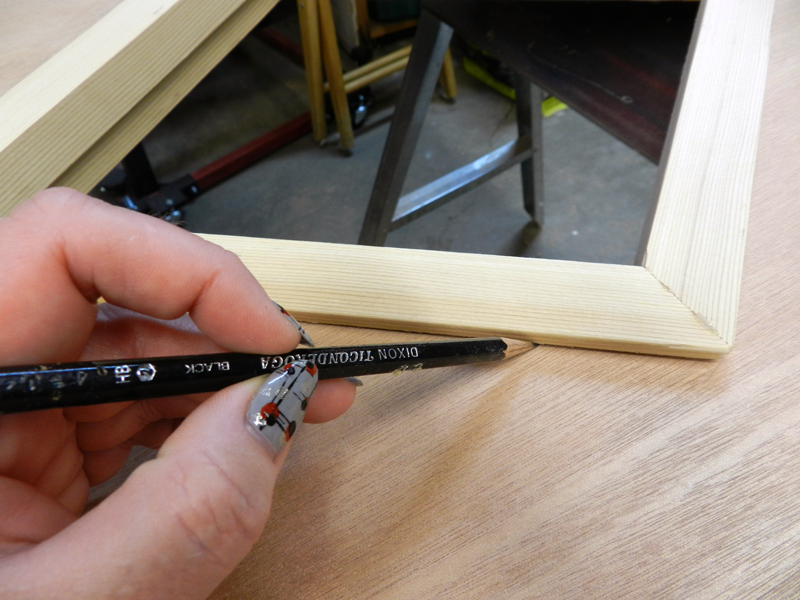 Once your kit fits well, draw a line around the edge of your interior kit before the next step. Draw a line at the end of the exterior frame after you've finished your fitting. 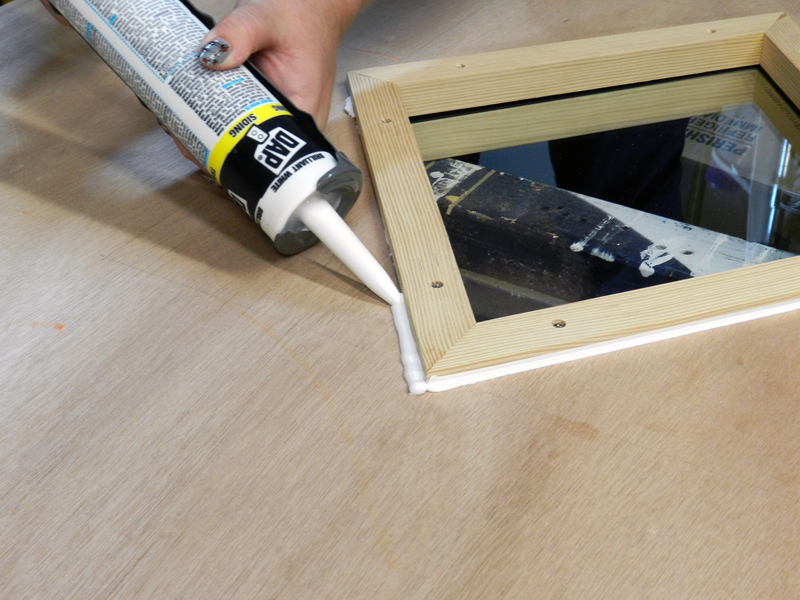 Adding caulk on the exterior window stop. The next step requires the help of another person to lift and flip the door over so that the inside of the door is face up. When doing so, set the exterior window stop frame on your sawhorse or support so that the molding is tight against the door. Next, place your glass in the hole. It will sit on the lip of the outside window stop. If you have frosted glass, make sure the frosted side is up (inside) for cleanability. 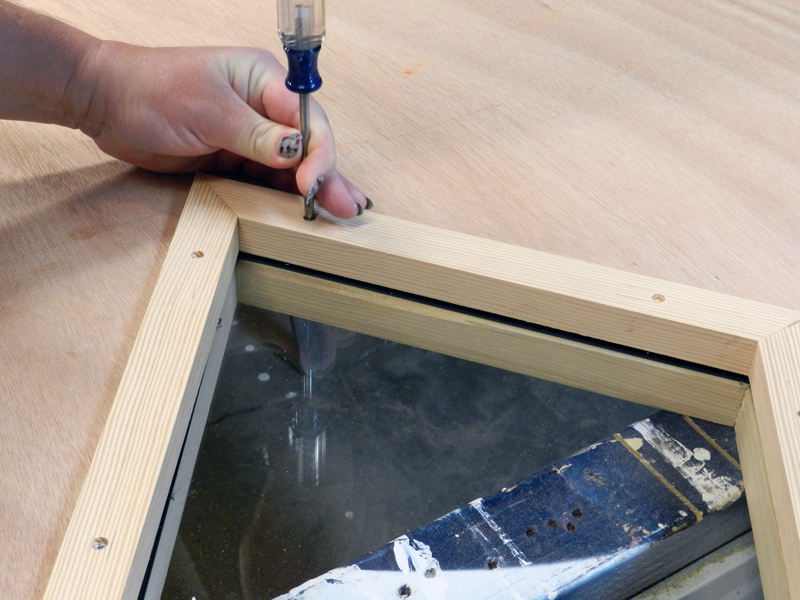 Now place the interior window stop molding (with the pre-drilled holes) onto your glass. Using the provided screws and a Phillips-head screwdriver, screw the two frames together to sandwich the glass. 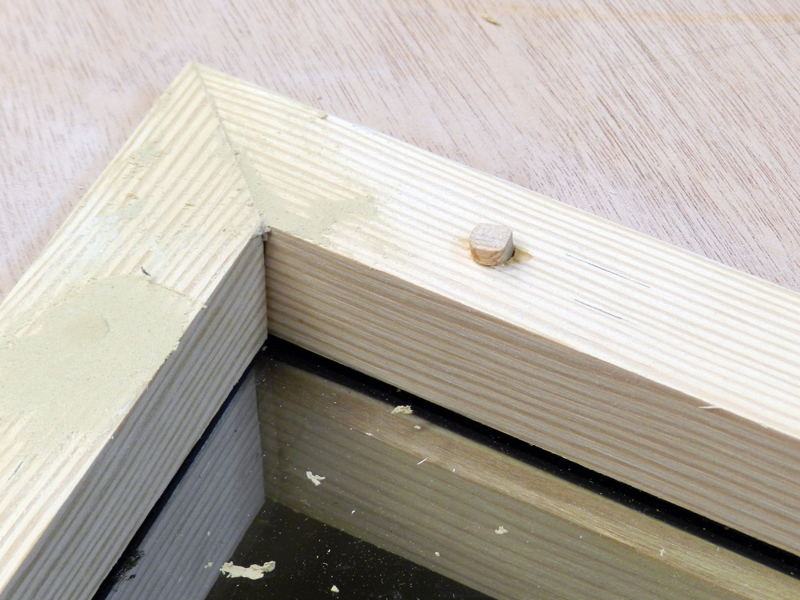 Using the screws provided, use the pre-drilled holes to align the two window stops and screw together. Putty (left) or plug (right) the holes above the screws. Once again, find that friend to help you flip your door back over to the exterior side. 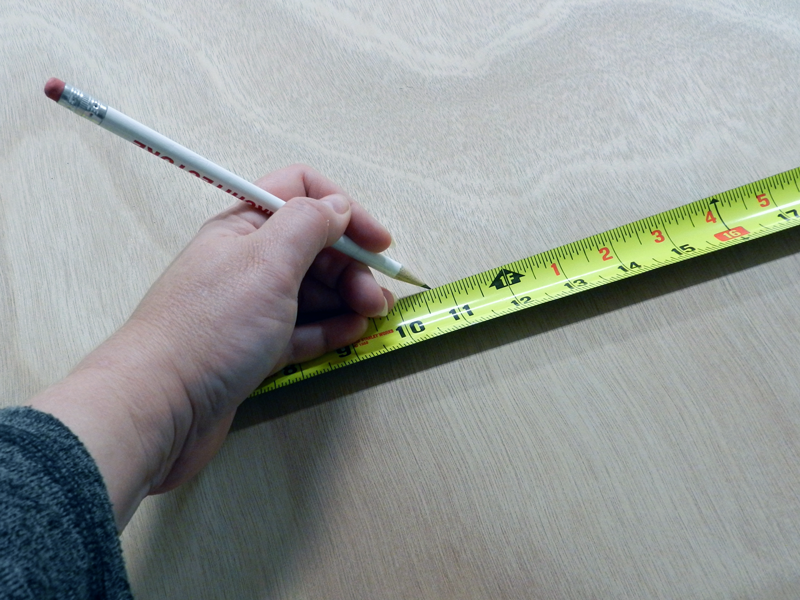 Using the dimensions card that came with your directions, lay out your decorative moldings using a ruler or tape measure. 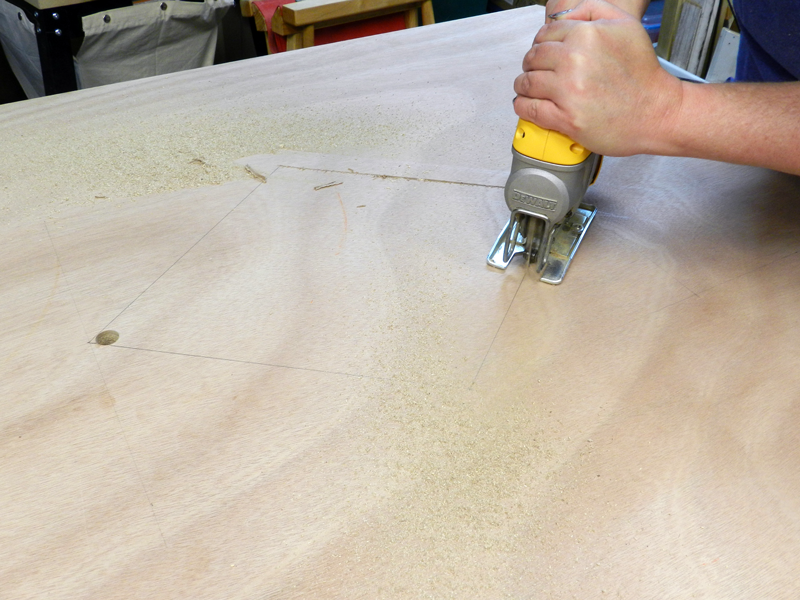 Lay out your moldings per your measured marks before you fasten them down. For kits with moldings the width of the door: Because exterior doors swing against a door stop (the extra piece of molding on the inside of your door frame) all of our molding kits that reach side-to-side of a door are cut so that they stop slightly shy of the edge of the door. 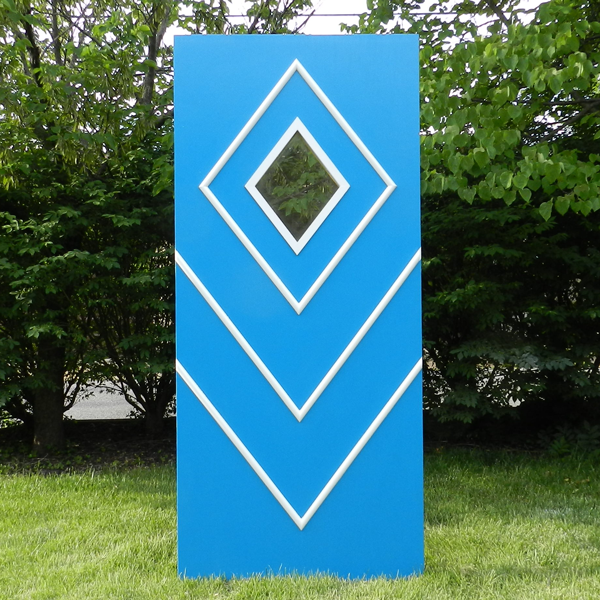 Make sure your pieces are centered, with an equal gap on each side. Cut molding or hold back from the edge of the doors for kits on inswing doors. 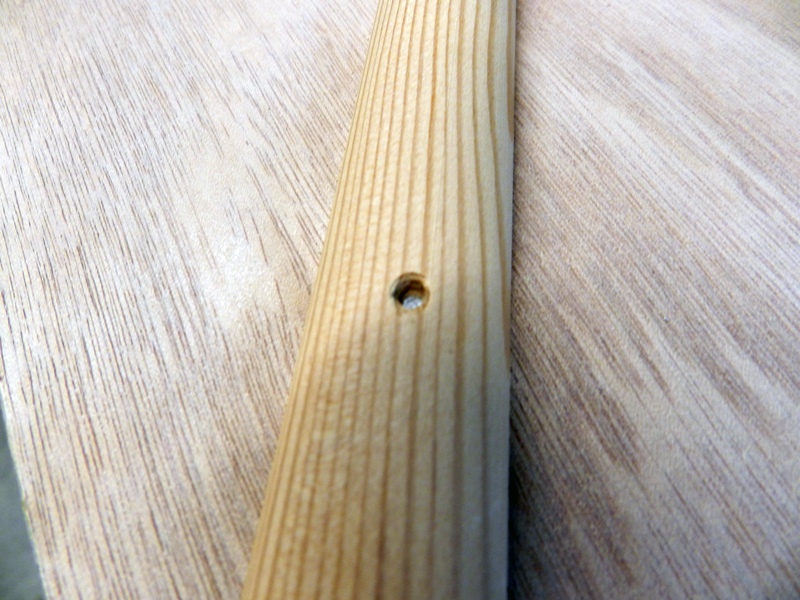 Using the enclosed nails, nail your moldings to your door through the pre-drilled holes. The moldings are pre-drilled to prevent splitting. Using a nail set (included in our kits until our supply is gone) recess the nail head beneath the surface of the molding. Using wood putty, fill the nail holes and sand. Optionally, you can caulk the edges of the molding (see comments above on caulk). Your door is now ready for paint or stain. Make sure that your nails have been driven below the surface of the molding. Use putty to fill the holes. What's stopping you? Are there more questions? Do you have ideas for helping to explain the process? For any of you who have purchased our kits, what suggestions would you give someone who is on the fence about whether or not they can do this themselves? 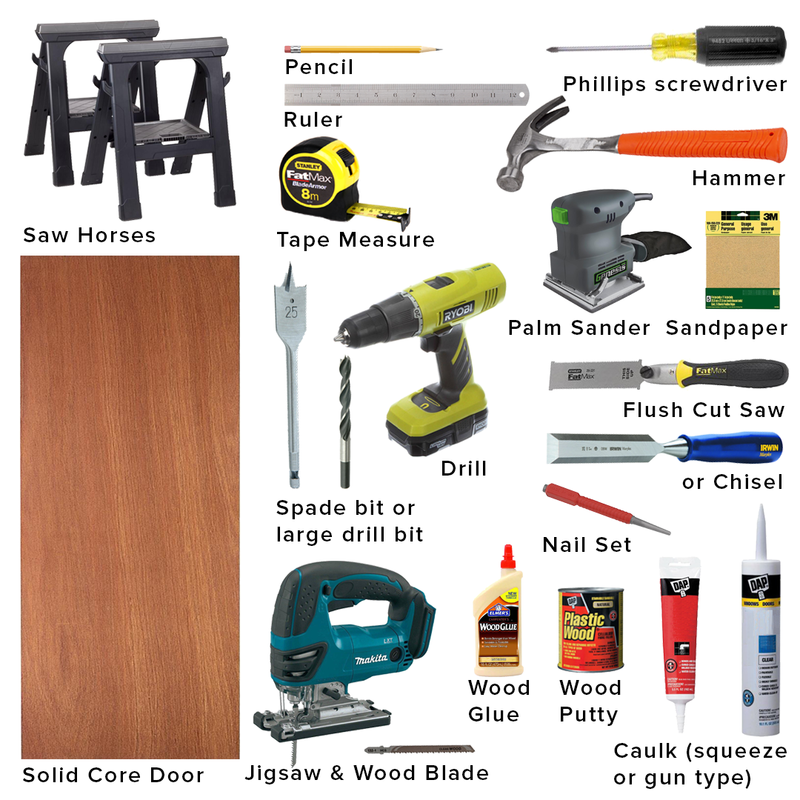 We know that DIY comes in all abilities, from beginner to expert. 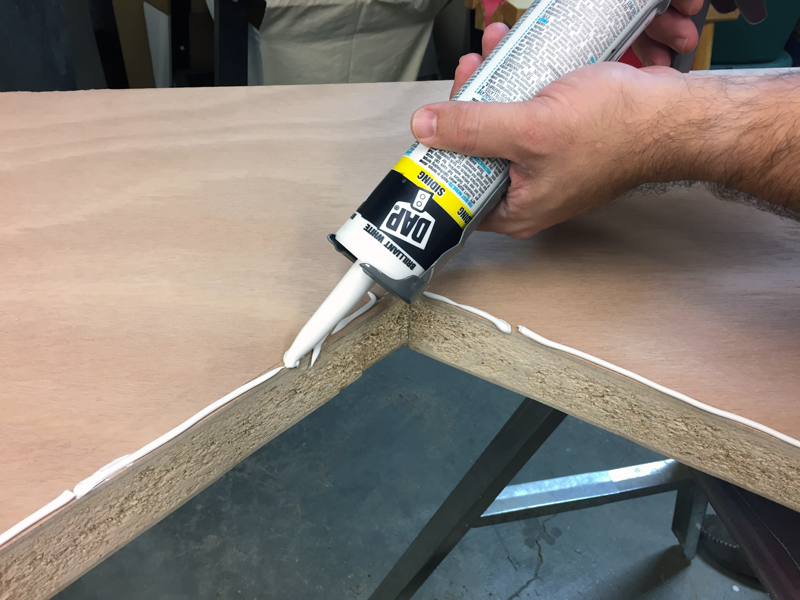 Check out the Great DIY Tips section of our Pinterest site for how-to instructions for caulking, using a jigsaw, and painting a door to name a few. Have any other questions or tips you would like to see? Please contact us and we'd be glad to answer your questions. Start shopping now and make yourself a new door! It's rewarding and fun (there, I've said the "F" word again.) And we know that YOU CAN DO IT!